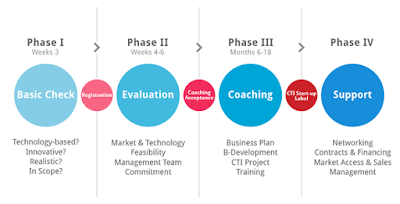 See Your Box ltd.: Third Phase of CTI Start Up Program! See Your Box has been selected to attend one of the most important Swiss selection for Start-Up: the CTI Start Up Program. CTI Start-up Program helps innovative start-ups to realize their business ideas quickly and professionally. Through four different phases, a selected coach will help the venture’s project evolve sufficiently to apply for CTI Startup Label, that is an important certificate of quality, sustainability and credibility for Swiss Investors. to refine all aspects of the project’s business case (business model, strategy, team, IPR, financials, market and product) for presentation to the Label Certification Board.